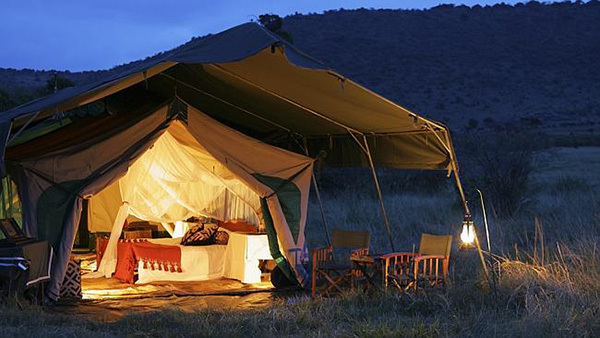 You might have heard of glamping which is made up of the words – ‘glamorous camping’. Glamorous because you no longer have to do the hard and dirty work typically associated with camping – no need to set up your own tent or spark your own fire and barbeque your food over an open fire. The latest trend of glamping includes all the luxuries you can find in any other city hotel and involves staying in luxurious “tents” e.g. 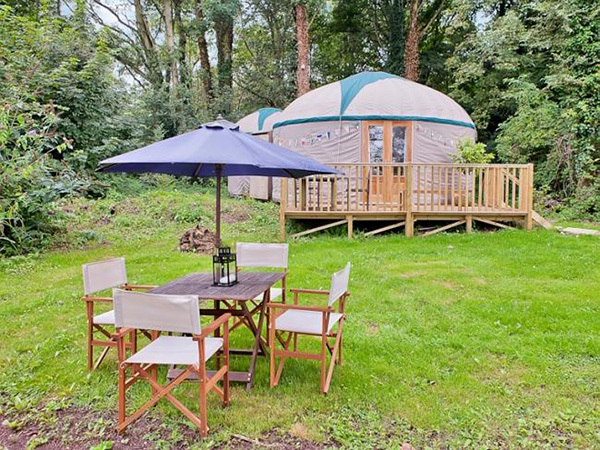 luxury caravans, yurts and even tipis. So if you are looking for a unique night out in the wilderness and still crave the luxury of comfortable beds and amenities, I have listed out a few options from around the world you can consider. The Ranch at Rock Creek is a log-cabin style luxury ranch resort with signature Canvas Cabins which offer a true glamping experience. You can get really close to nature with these “tents” with the murmur of the creek running by just outside your front door but with some differences from typical campsites – your rooms come with private baths and comfortable beds with luxurious bedding. You get to enjoy a luxury guest ranch experience rooted in the deepest creekside privacy. As one of the first glamping accommodations in the world, The Ranch at Rock Creek is well-recognised for being a pioneer in the industry and had been awarded many awards including the Forbes 5-star Travel Guide award. 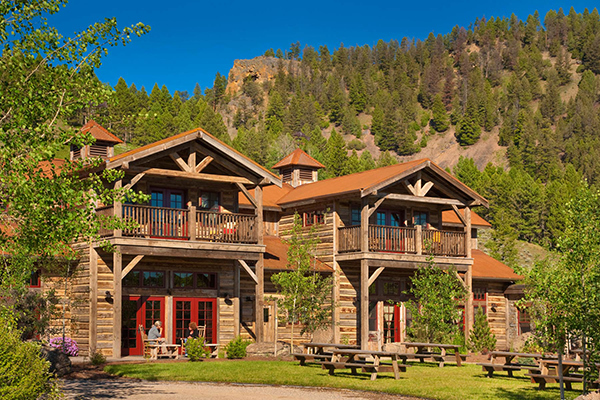 It is not a surprise that the Ranch at Rock Creek is one of the more popular destinations for couples on honeymoon — so much so that even celebrities such as Kate Bosworth hold their wedding here at the Ranch at Rock Creek. All rates include full board with breakfast, lunch & dinner in the Granite Lodge and/or the Blue Canteen. Also included are all wines and drinks from The Ranch wine list during meals or in the Silver Dollar Saloon. 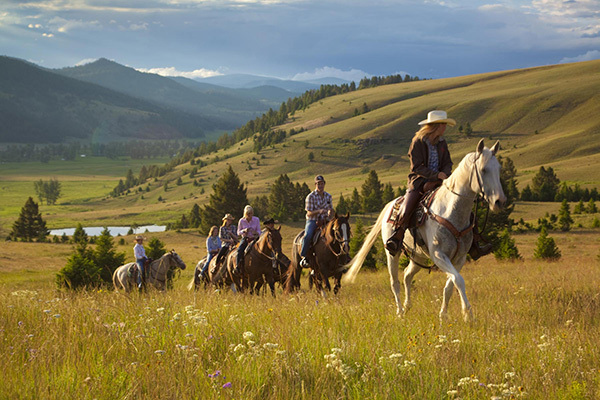 Guests also get to enjoy morning and afternoon on-Ranch activity for each of our guests. Rates start at: $950/night per person inclusive of meals and activities. Located just outside the island’s cultural centre of Ubud, Sandat is the first Indonesia glamping destination on Bali (the “island of the Gods”). Sandat offers unique, eco-friendly Indonesia glamping tents and cottages where the interior and exterior combine for a unique experience in contact with nature without giving up comfort and luxury. The resort has five luxury tents – each with its own private infinity pool – which are surrounded by lush tropical gardens and elegantly decorated with Balinese handcrafts. 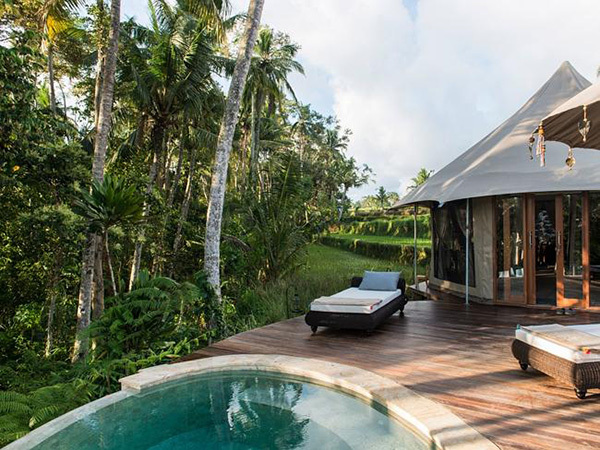 With private pools, delicious food and proximity to the arts centre of Ubud, Sandat Glamping is an amazing destination for a limited number of guests keen to not only discover Bali – but to connect with the local area, people and environment. Low season prices for a tent with private pool start from $250 (discounts for advance bookings and seven-day stays). The team at Sanctuary Private Camping customizes your authentic camping experience to exude an elegantly romantic feel of the colonial era. The typical safari lasts two weeks and has all the modern luxuries you would expect from one of Africa’s premier safari operations. 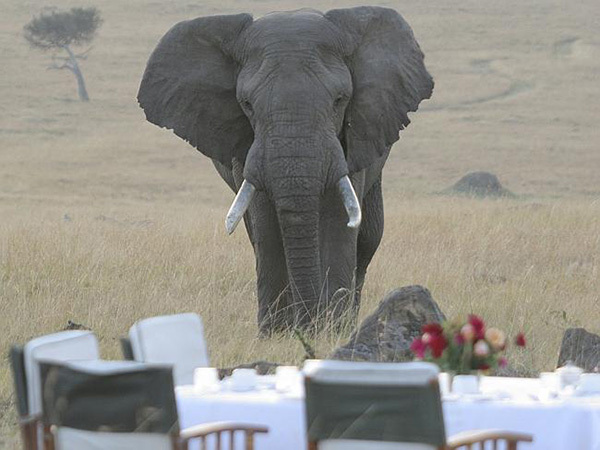 Guests can be set up at exclusive locations in the spectacular parks and reserves of East Africa, offering sightings of the big five, staying in safari tents complete with running water and electricity. 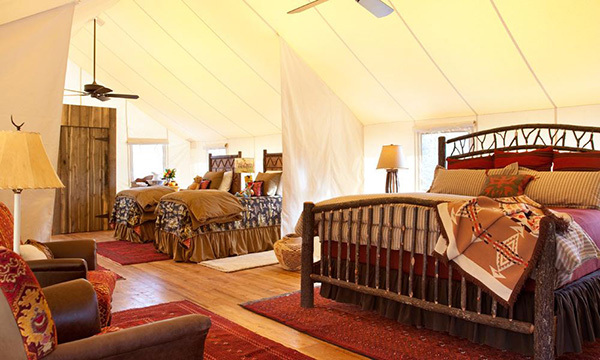 The classic safari tents used on the journey are spacious enough to include hand-woven rugs, traditional furniture, and king sized beds. Leaving no permanent footprint, the tent uses solar-powered lighting. Bathrooms feature a classic safari shower, fully flushing china toilet, and running water. A personal attendant ensures that linens are freshly ironed, warm water bottles are slipped into the duvet on chilly nights, and all needs are hospitably met. 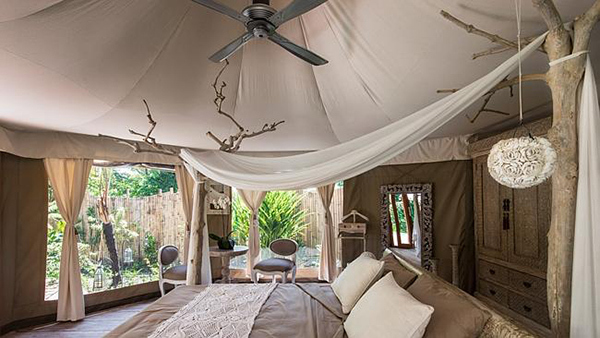 Guests need to inquire direct for a tailored private camping experience, but other Tanzanian safari camps run by Sanctuary Retreats charge between $1000 and $2000 a night for a tent for two. 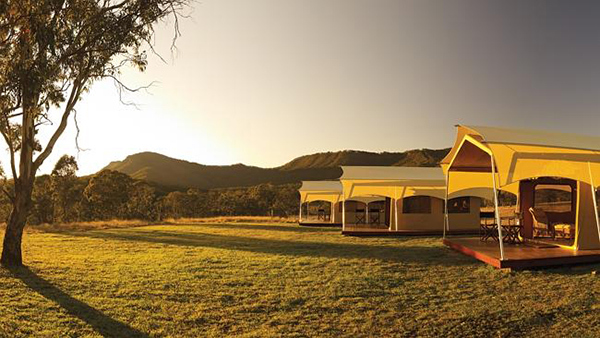 The perfect antidote to the stress and pressure of city living, a luxurious safari-style camping escape in the heart of the Queensland’s naturally beautiful Scenic Rim region just two hours’ drive from Brisbane. Surrounded by 5000 acres of private nature refuge, beneath a canopy of endless skies, Spicers Canopy offers an unforgettable eco-tourism experience that sets hearts and minds free and sends spirits soaring. The 10 tents at this luxury campsite on Queensland’s Scenic Rim, alongside the Main Range National Park, has stunning views, great bushwalking and comfortable facilities, but prides itself on having no computers, no TVs and limited mobile coverage. A three-day package starts at $1899 per person and includes guided walks, food and drinks. 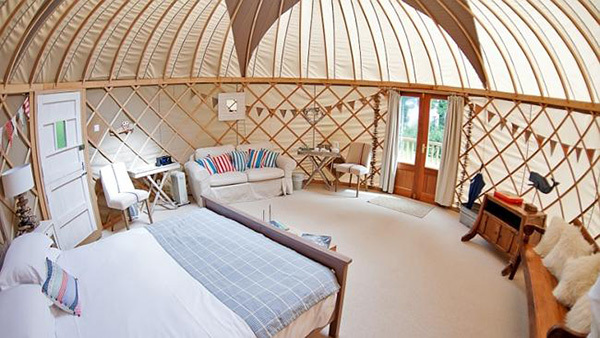 Set on a 24ha property on the Isle of Wight in southern England, Priory Bay Hotel’s collection of yurts across the each offer a unique experience. Each is decorated by a different designer and has its own setting, with woodland, beach and golf course views. The hotel is 2.5 hours from London, between the sailing villages of Seaview and Bembridge. Prices for a yurt for two start at $340 a night. 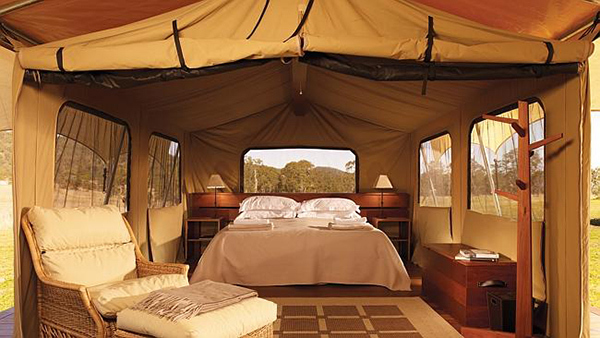 Glamping is certainly getting more popular daily and a lot of people are looking for a different experience! Glampinghub.com website also seems to be on the rise and the variety of places to stay and being constructed is amazing.